Yesterday we said goodbye and good luck to our lovely Executive Director, Keith Walker!!! As today marks the first day of his retirement from Befrienders Highland, we wish him all the best! We will miss you and your kindness, Keith! 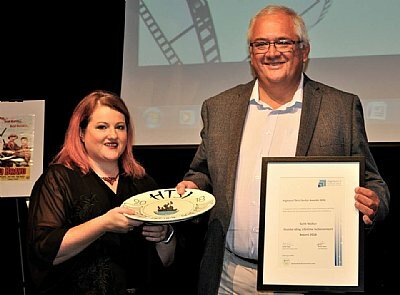 Keith Walker, pictured in August 2018 at the Highland Third Sector Interface Awards Ceremony receiving the, well deserved, 'Outstanding Lifetime Achievement Award'.